PTSG meals on wheels – We’re Lovin’ It! Premier Technical Services Group PLC’s (PTSG) fire solutions team received an unexpected meal deal following a recent road closure in Kent. The A20 road was closed to traffic in both directions at 11am on Tuesday 20th November, with many vehicles left stationary for several hours. 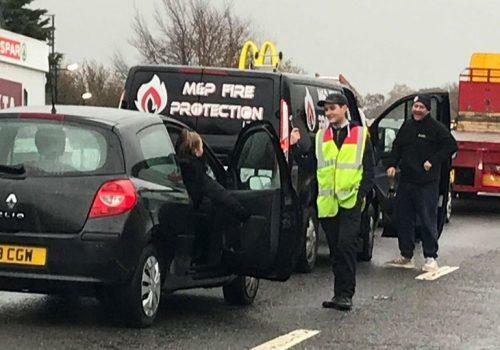 At the Swanley services a McDonald’s branch sent staff up and down the road to take orders from vehicles, also offering free hot drinks to the stranded drivers and passengers. Kent Live reported on the story and featured a photo of the M&P Fire Protection Services van, part of PTSG Fire Solutions Ltd, alongside the article. 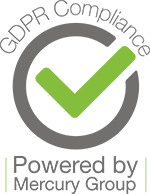 The M&P team were very grateful for the quick-thinking and responsive customer service and were able to enjoy a well-deserved lunch despite the traffic jam. Thankfully, the team were equipped with PTSG’s proprietary software, Clarity, which recognised the traffic disruption and reassigned the engineers’ workload, meaning no jobs were cancelled on the day.